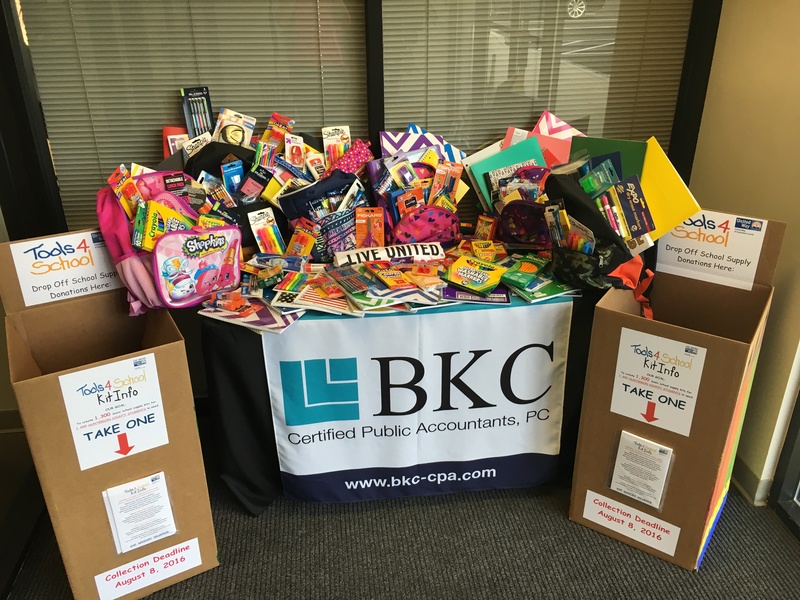 Thank you to everyone at BKC who contributed to the Tools4School fundraiser for the United Way, and to those who volunteered to stuff back packs. The program will provide more than 1,300 Hunterdon County children with the supplies they need to go back to school and learn. The United Way of Hunterdon County has helped to improve lives and conditions in our community for 30 years. They are excited about their new Community Volunteer Center located at 20 Fulper Road in Flemington.